The beauty of consuming farm beverages rather than factory beverages means you can experience different flavors. Just as wine and beer offer a nearly infinite range of styles, cider styles run the gamut from dry to sweet, still to sparkling, simple to complex, and clean to funky. For cider drinkers accustomed to six-pack factory cider, dry cider will be a revelation. Gone is the saccharine sweetness that makes Redd’s Apple Ale and its ilk a tad too tangy for many fo us. High tannin apples provide the structure and mouth-feel for dry cider, which can have as many complex flavors as dry wines. Expect some astringency and deep rich flavors such as leather, oak, and mushrooms. 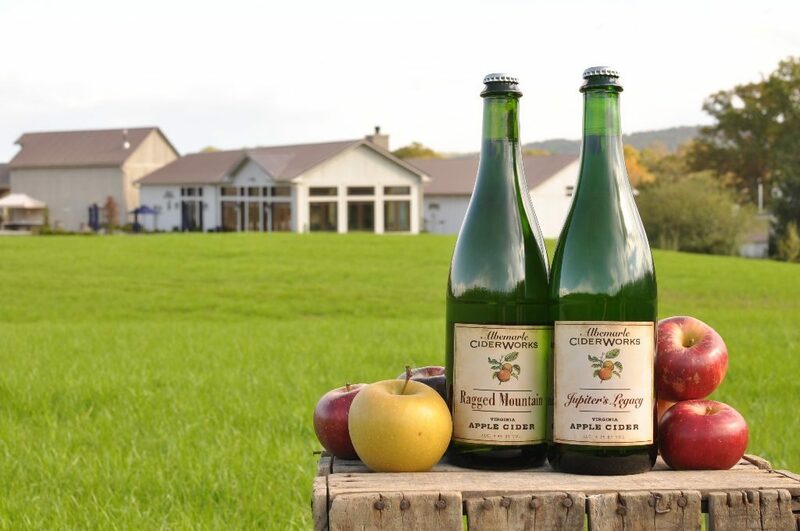 Virginia cidermakers craft a range of balanced dry cider that will delight your palate. The best way to find out the cider style you most enjoy is to experiment: enjoy Virginia cider, pair it with different foods, and share the wide range of cider styles available in the Commonwealth with all your friends. full of complex flavors … that’s what we mean by well-crafted cider. One of the best parts of Virginia Cider Week is that you have knowledgeable professionals all around you to answer questions about what makes their beverage unique, why they chose the apples they did, and other questions that’ll help you figure out what you like best. And you’re surrounded by other curious cider imbibers to discuss your palate and tasting notes with. Now find a Virginia Cider Week event near you!